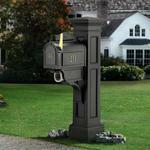 GardenTones stunning lamp posts and mail box posts are the perfect way to tie together your outdoor decor. These posts will give your home a well-finished, sophisticated look. 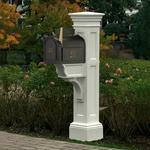 GardenTones mail box posts feature attractive options such as newpaper holder, planter, and dual mailbox support arms! With a subtle hint of classic New England living, these posts are a great way to say Welcome. 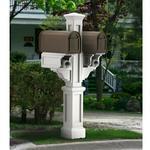 Communicate more than just your address with these attractive sign post!